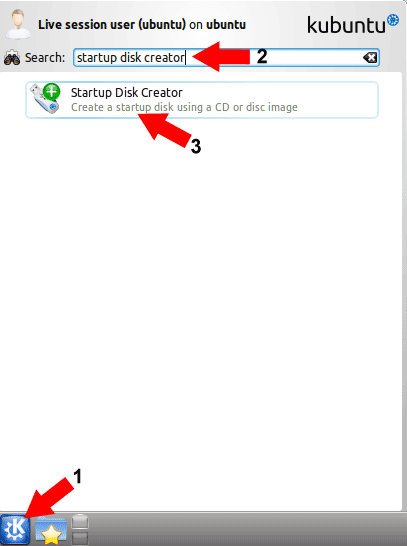 How to Create a Kubuntu Live USB Flash Drive while running from the Live CD. 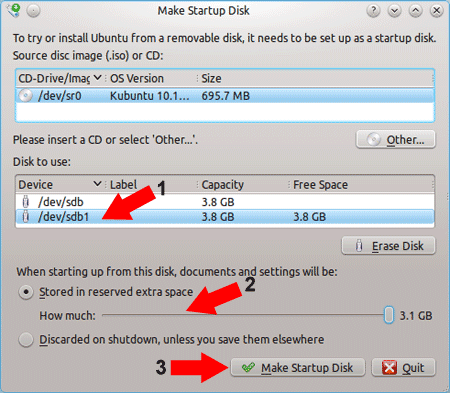 In the following segment, I explain how I used Ubuntu's Official "Startup Disk Creator" to put Kubuntu on a Flash Drive. I also used Ubuntu's Casper Persistence feature, which enables me to save and restore changes at each boot. Kubuntu, is a fork of Ubuntu that utilizes the KDE desktop environment instead of Gnome. Note: Back up ALL data from your Flash Drive before proceeding! 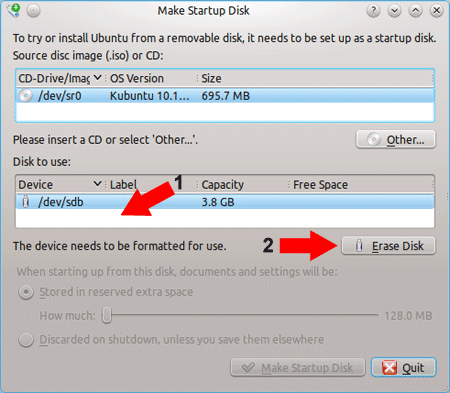 You should now be booting Kubuntu from your USB Flash Drive.